I was amazed how this girl was having fun playing with a small ball which she threw against the wall and which afterwards she was trying to catch. Shot taken in Trinidad / Cuba. It's amazing how simple things can bring so much joy! good shot. i love the composition! She looks like she is having a ball – no pun intended! A wonderful action shot Thomas!! 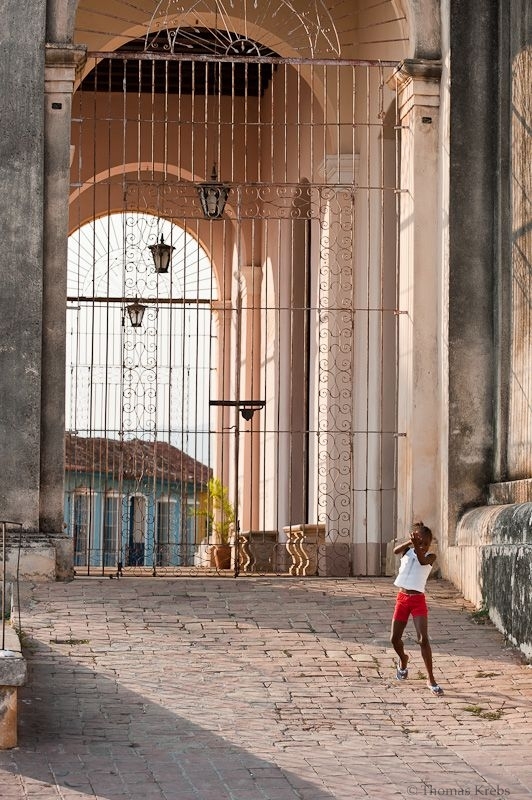 Your photographs from Cuba offer a fascinating glimpse into a fairly unfamiliar culture. I love your focus on people, which you captured with respect and dignity. Thanks for sharing this great work. that's a nice street shot!